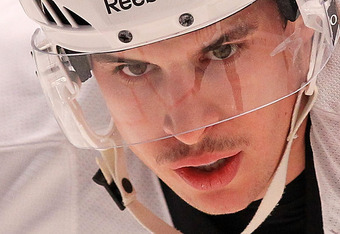 Happily, the Caps have roused themselves from their December swoon and look like they’re playing with renewed vigor. It’s still a little sloppier out there than we’d like, but a win’s a win. HBO has been making a lot – a lot – of the Penguins’ Sidney Crosby and his streak, while in our view doing everything they can to cast the Caps as a bunch of stumblebums led by a guy who looks like he just wandered in from the hotdog stand. We see things differently . 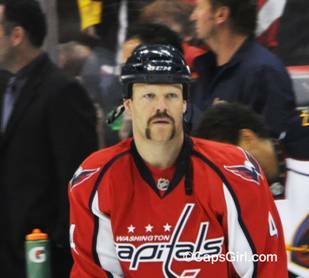 For example, John Erskine knows how to sport a ‘stache. 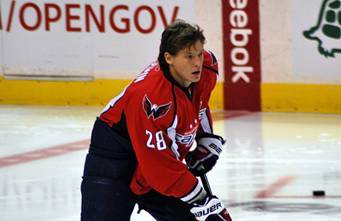 And while we’re on it, Alexander Semin is a doll baby. 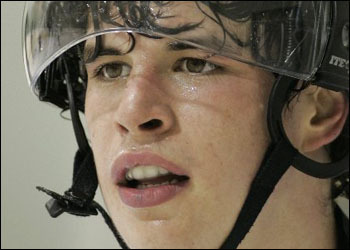 Sidney Crosby is a crybaby. This entry was posted in Washington Capitals and tagged Alexander Semin, John Erskine, Sidney Crosby. Bookmark the permalink.